At the Autodesk University event in Las Vegas, November 14-16, civil and commercial/industrial designers and manufacturers who use Autodesk software came together to see The Future of Making Things. These skilled professionals are described as the people who “design and make the world around us,” and at this event, they got an up-close look at how Intel® architecture (IA) is boosting performance, especially in two rapidly expanding fields: commercial virtual reality (VR) and generative design. Commercial VR is on the rise, and it’s no wonder. According to Tech Pro Research, 47% of businesses are considering VR for the future, including everything from virtual product demonstrations to training and prototyping. Equally exciting is generative design, which uses artificial intelligence to explore all permutations for you. That means you can come up with optimized design possibilities in an automated way. It’s sort of like the way evolution works—over time, you get millions of different options for an eye, a wing, or a webbed foot. Only instead of taking thousands of years, it happens in an instant. Using hands-on training sessions and exhibition demos, Intel and Autodesk showcased amazing design capabilities on everything from rich clients to cloud-based servers, end to end. Performance optimizations and new features were shown for VR, machine learning, graphics and simulation, demonstrating the powerful combination of technology and creativity for design and manufacturing. At the Technology Trends executive panel, Kumar Chinnaswamy, Intel Client Computing Group Head of Commercial AR/VR Solutions, joined executives from Autodesk, Dell, Frame, HP, Lenovo and NVidia to share thoughts on the “Future of Making Things” with more than 1000 CAD/BIM/IT managers and Autodesk early-adopter power users from all industries. 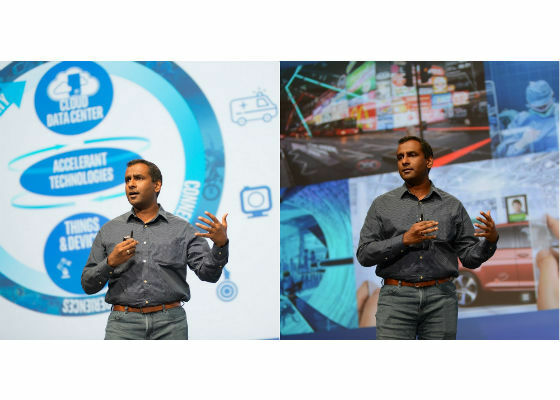 Kumar’s talk focused on the Intel-powered AR/VR/MR and AI Revolution where immersive visualization, generative design and deep learning are creating a rare opportunity for creators, designers and innovators to disrupt both tech and non-tech industries. Intel’s Debra Goss-seeger hosted a panel on Generative Design.There were over 125 in attendance. 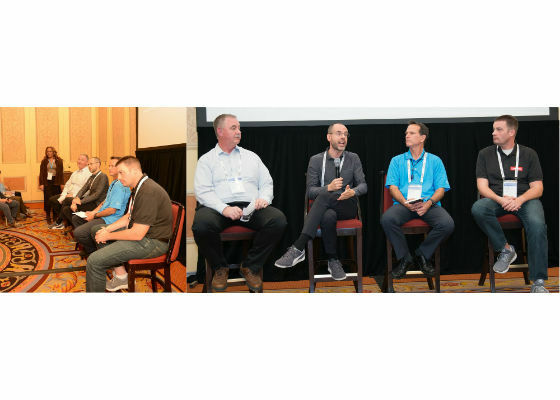 The standing-room-only heard industry experts discuss how cloud computing makes it possible for engineering teams to develop and explore the full design space for any problem that they may want to explore. That kind of speed is critical for meeting the demands of modern animation and high-end visual effects (VFX) production. Attendees also had the chance to see Autodesk ReCap Photo creating 3D models faster on higher frequency Intel Xeon processors: the software runs 1.83X faster on an Intel Xeon processor W-2145 compared to an Intel Xeon processor E5-2697 v32. ReCap Photo is a new cloud-connected solution tailored for drone-based image capture. Available with a ReCap Pro subscription, ReCap Photo cloud processing uses multicore Intel Xeon processors. The photogrammetry process of the ReCap Photo software happens in the cloud, but other features—such as 3D model visualization, editing, and model exporting to other Autodesk solutions like Revit, InfraWorks, or Civil 3D—are performed locally on the user’s workstation, where Intel Xeon processors enable project teams to better explore and communicate their design visions. At the Autodesk University event, attendees also heard a tech talk about the advantages of the Intel® Xeon Phi™ processor bootable host. It delivers massive parallelism and vectorization to support the most demanding Machine Learning design paradigms for AutoCAD* Netfabb* additive manufacturing and design software and the Dreamcatcher generative design system. For mainstream computer-aided design (CAD), Intel® HD Graphics and Intel® Iris™ Pro Graphics technologies were demonstrated with Intel® Xeon® processor E3-based systems. These Intel® graphics technologies have been supported by AutoCAD software since 2014, and the latest versions of the Intel graphics certified software and validated workstations delivered better than ever performance and resolution for remote users of cloud-based software. In addition, performance optimization for Intel® Xeon® Scalable processors was demonstrated for mainstream design tools including AutoCAD, Revit, and VRED as well as for simulation tools like Autodesk Fusion*, Nastran* and Autodesk explicit simulators. That means more designers and engineers using these tools across multiple industries will recognize the benefits of having Intel Inside®. The possibilities are endless for Autodesk-based commercial VR and generative design on IA workstations and cloud environments. Read the Intel solution brief for more information on the ultimate visualization performance powered by Intel Xeon Scalable processors and Intel Xeon W processors. 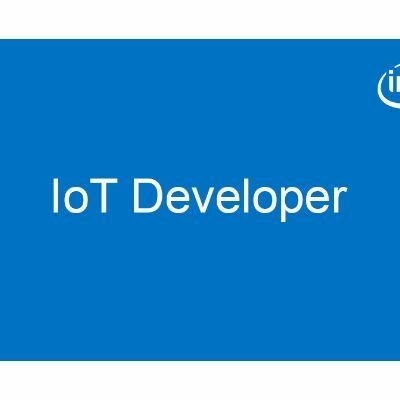 Tim is a strategic marketing manager for Intel with responsibilities for cloud, big data, analytics, datacenter appliances and RISC migration. Tim has 20+ years of industry experience including work as a systems analyst, developer, system administrator, enterprise systems trainer, and marketing program manager. Prior to Intel, Tim worked at Tektronix, IBM, Intersolv, Sequent, and Con-Way Logistics. Tim holds a BSEE in computer engineering from BYU, PMP certification, and a MBA in finance from the University of Portland. Follow Tim and the growing #TechTim community on Twitter: @TimIntel. 1 Configurations: Based on internal testing at Intel that rendered the same workload in Arnold 5 on a system running two Intel Xeon Platinum 8180 processors (2.5/3.8 GHz, 56 cores, 112 threads) with 64 GB DDR4 memory and a PCIe* solid-state drive (SSD), a system running an Intel Xeon processor W-2195 (2.3/4.3 GHz, 18 cores, 36 threads) with 64 GB DDR4 memory and an Intel® Optane™ SSD 900P Series drive, and a system running an Intel Xeon processor E5-1680 v4 (3.4/4.0 GHz, 8 cores, 16 threads) with 64 GB DDR4 memory and a SATA SSD. 2 Configurations: Based on internal testing at Intel that rendered the same workload in ReCap running CPU I/O profile (open, decimate, save) with a large dataset (Vertex: 47 million, Faces: 93 million, 2.16GB) on a system running an Intel Xeon W 2145 processor (3.7/4.5 GHz, 8 cores, 16 threads) with a PCIe* solid-state drive (SSD), and a system running two Intel Xeon processors E5-2697 v3 (2.6/3.6 GHz, 28 cores, 56 threads) with a 1.2TB Intel® SSD 750 Series drive with NVMe*.